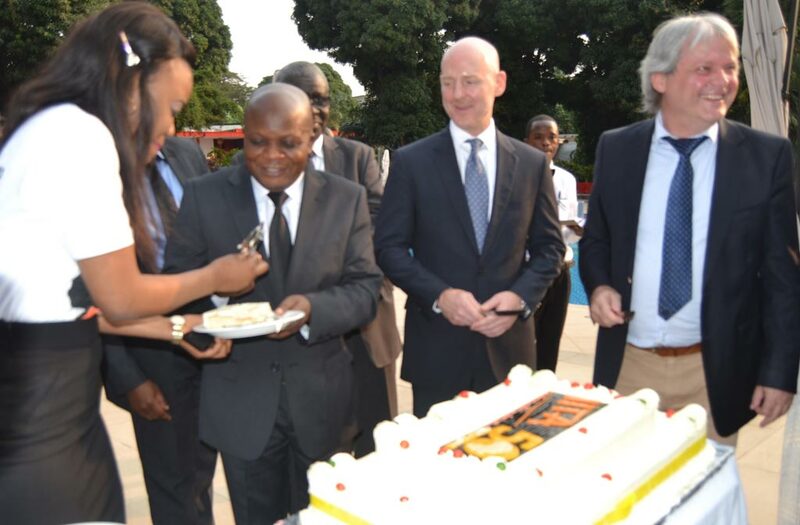 At IITA-Kinshasa, the golden jubilee was celebrated on 18 July at the Pullman Hotel, Kinshasa. In attendance were Kabongo Kazadi, the Minister of Agriculture and other representatives from partner and donor organizations including INERA, and the United States Agency for International Development (USAID). “Although IITA began operations in DR Congo about 47 years ago, the Institute has been working to advance African agriculture for 50 years now” noted Nzola Mahungu, IITA Country Representative. 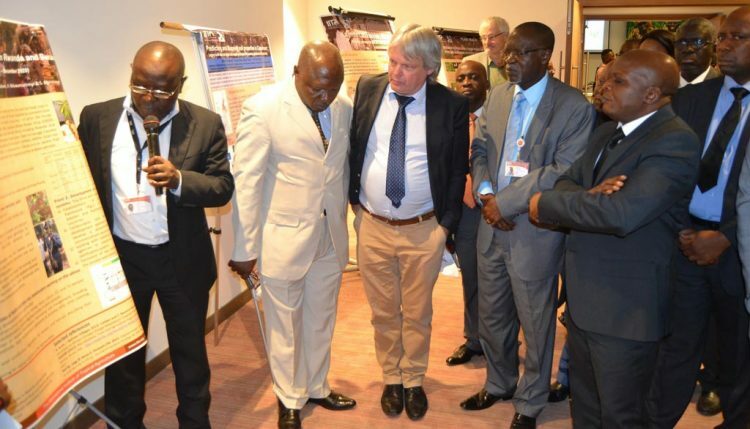 He also applauded the DR Congo Government for its unflinching support since 1974 and for funding IITA’s initial research to combat cassava bacterial blight (CBB) in the region. 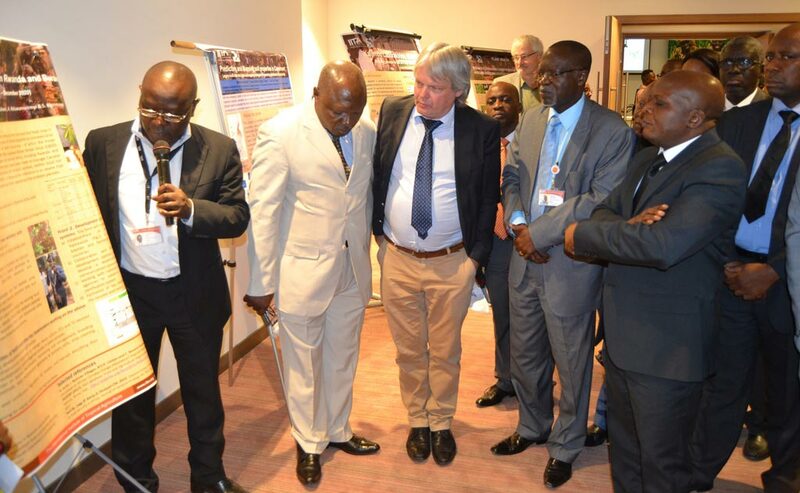 On behalf of the IITA Director General, Nteranya Sanginga, the Central Africa Hub Director, Bernard Vanlauwe, thanked the Honorable Minister for his presence at the celebration. He also recognized the inputs from all participants including funding agencies and technical partners. Vanlauwe then led the guests on a tour to see posters on IITA’s research-for-development breakthroughs, products from the IITA Youth Agripreneurs in Kinshasa (IYAKIN), HarvestPlus, and some private sector enterprises using IITA technologies.